Ten Speed Press, 9780399582530, 160pp. “There is nothing more relaxing than having a drink among friends, especially when everyone is sipping the same thing—the shared experience of trying something new is a great conversation starter. 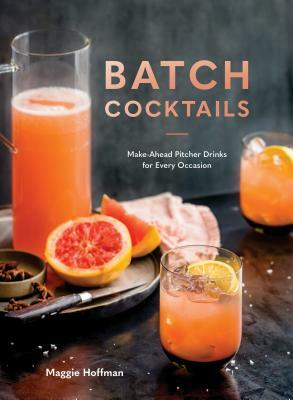 This beautiful collection of recipes has me itching to throw a party just for an excuse to make a few pitchers full." “As Trader Vic himself once said, 'Spend time with your guests—not making mixed drinks.' In her new book, Maggie gives you dozens of delicious ways to free yourself from behind the bar and become the host with the most! With these recipes and techniques at your disposal, you’ll soon find yourself famous for both your charming fêtes AND witty banter!" "Consult this booze bible for easy new twists on classic summer cocktails." "This is the kind of book that every home cocktail-maker should keep on their shelf." "These inexpensive, easy recipes will make cocktail drinkers out of the non-believers."